Valentine’s Day is this week and if you’re looking for fun and festive recipes, I have some yummy sweet treats to share. I love Valentine’s Day! It seems like it gets more commercialized every year but, I love what this day represents and enjoy celebrating it. It’s a perfect occasion to pamper your significant other, spoil the kids or just treat yourself. Who doesn’t love to be showered with love and decadent sweet treats? 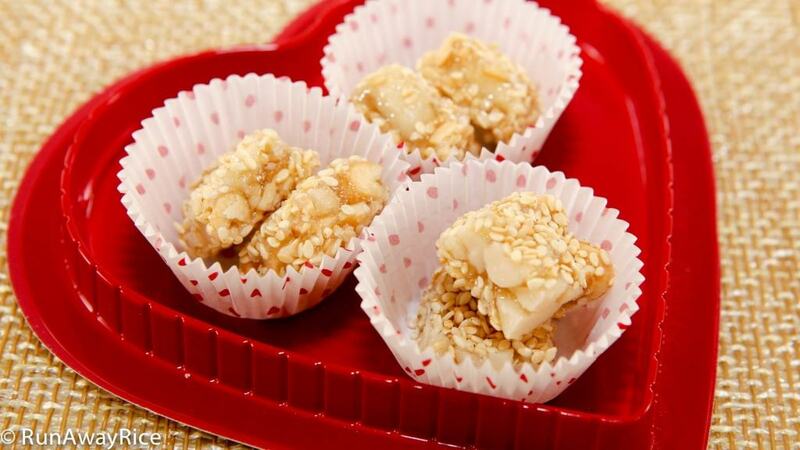 Read on for some fun and delicious Valentine’s Day recipes! Valentine’s Day is all about the chocolates. 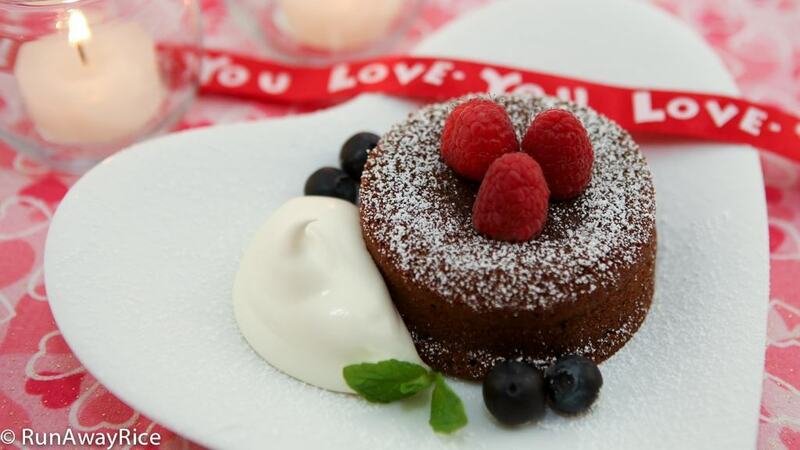 This recipe for Chocolate Lava Cake is guaranteed to be a winner! It features airy chocolate cake filled with a gooey chocolate ganache center. Serve this baked treat with whipped cream and fresh fruit for a gorgeous and decadent dessert. 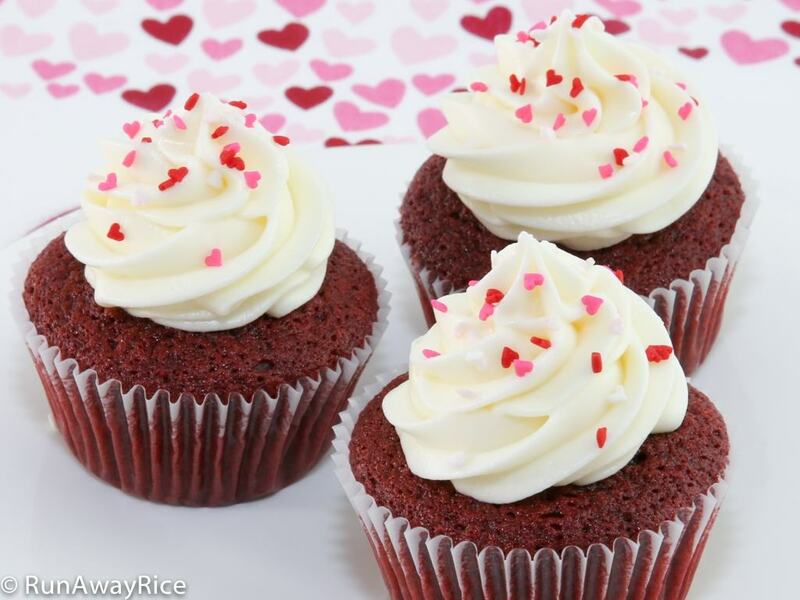 Another wonderful chocolaty treat is Red Velvet Cupcakes with Cream Cheese Frosting. These moist and fluffy cupcakes topped with luscious cream cheese frosting are simply irresistible. The vibrant red cupcakes are so eye-catching and beautiful. They are sure to melt any heart and satisfy the tummy! These Chocolate Shortbread Cookies are so fun and festive. They are super easy to make with the Oxo cookie press and a fun activity for the little ones. 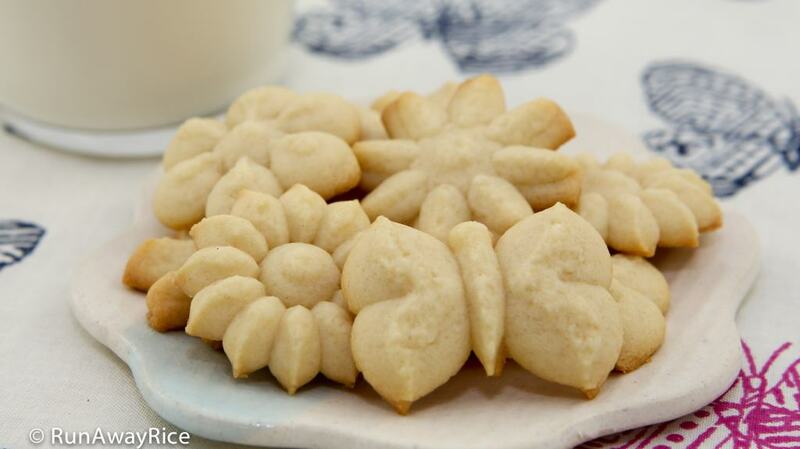 Spend time with the kiddies making these yummy cookies. Share some awesome homemade cookies and some love! Not a fan of chocolate, these Butter Cookies (Banh Bo) may fit the bill. These crispy cookies are light and airy and perfect for gift-giving. 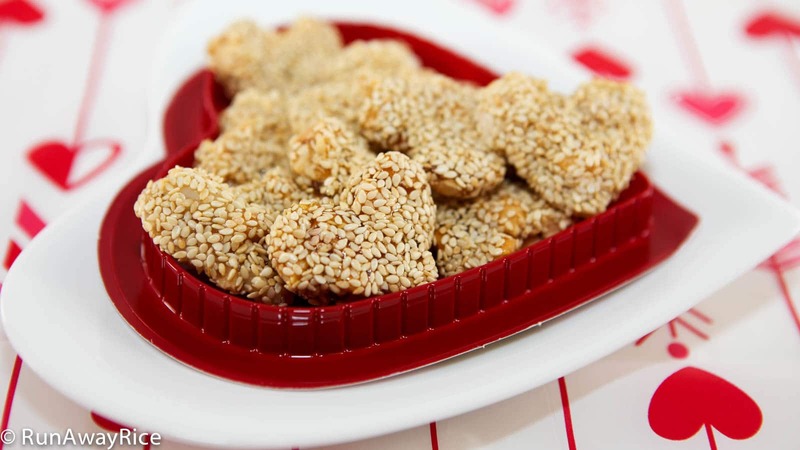 Make homemade Chewy Sesame Peanut Candy (Keo Me Dau Phong) and turn them into Valentine’s Day treats. This easy recipe has just a few ingredients. Cut the candies into bite-sized pieces and pop into decorative mini muffin cups for cute little treats. 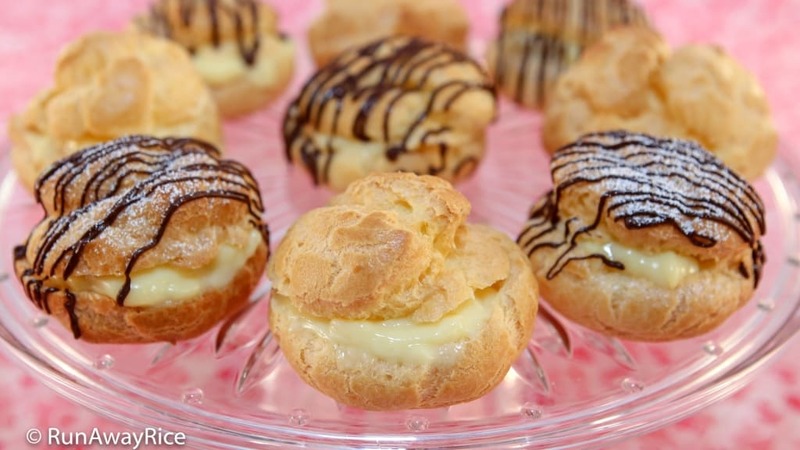 A baked treat with a lot of wow factor is Cream Puffs (Banh Choux / Banh Su Kem), airy pastry puffs with a sweet custard filling. For an indulgent Valentine’s Day treat, drizzle the pastries with chocolate sauce or substitute the custard filling with a chocolate one. Now that’s a sweet treat with pizzazz! Valentine’s Day isn’t just about cakes and candies. 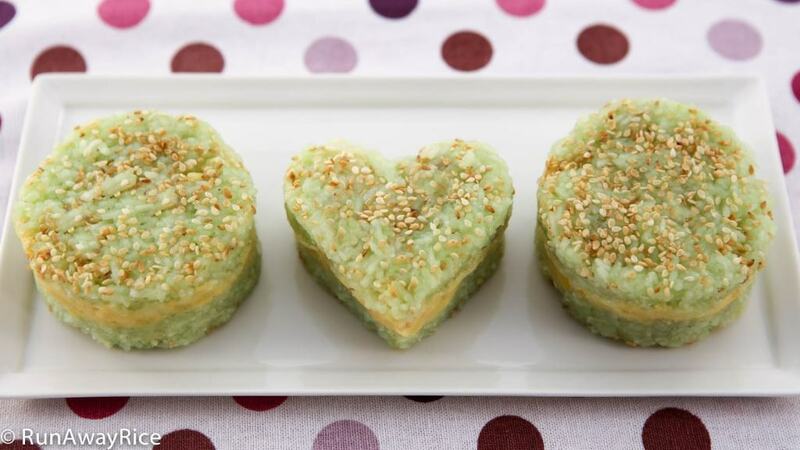 It’s really easy to turn your favorite foods into a Valentine’s Day treats. I used a heart-shaped cookie cutter to cut Sticky Rice with Star Anise (Xoi Vi) into cute little cakes. Who wouldn’t love to find one of these adorable cakes in their lunchbox on Valentine’s Day and every day! Have a wonderful Valentine’s Day all and enjoy this special day with your loved ones! If you make my recipes, be sure to share on social media. I just came across this post. 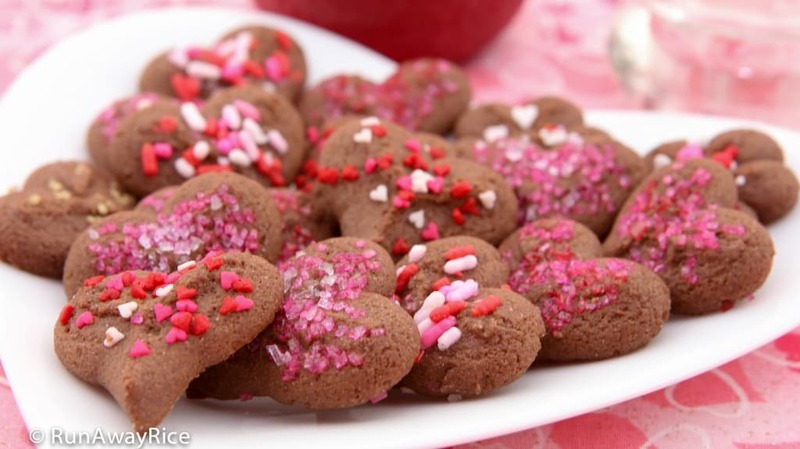 It’s past Valentine’s Day but all your recipes looks so yummy! They would make a wonderful sweet treats any day. Thanks for sharing! !